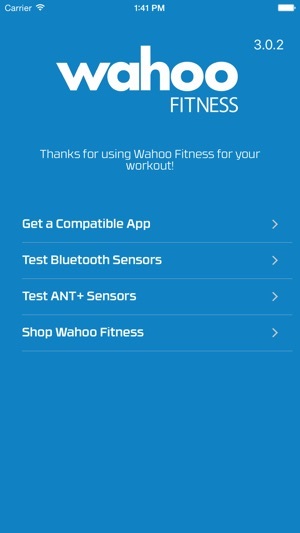 Wahoo Utility allows you to test your ANT+ or Bluetooth Smart sensors and discover new apps that support the Wahoo Fitness range of fitness hardware. 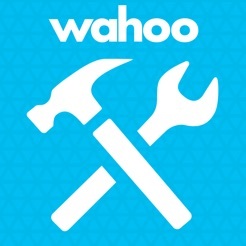 Use Wahoo Utility to test the connectivity of your Bluetooth Smart hardware including heart rate monitors (including the Wahoo Fitness TICKR family), bike speed/cadence sensors, weight scales, bike power meters, external displays (including the Wahoo Fitness RFLKT) and power trainers (including the Wahoo Fitness KICKR). Using the Wahoo Key or Wahoo Bike Case your iPhone can communicate with your compatible ANT+ fitness sensors. You can use Wahoo Utility to test the connectivity of your ANT+ hardware including heart rate monitors, stride sensors, bike speed/cadence sensors and bike power meters. We respect your right to choose. Wahoo Fitness openly works with the makers of the worlds best Apps to make sure our gear works with the training platform that's right for you. Wahoo Fitness hardware is currently compatible with over 110 different training apps, and you can use Wahoo Utility to discover a solution to meet your fitness needs. Wahoo Fitness harnesses the awesome power of the iPhone to transform the way you run, ride and reach your training and fitness goals. Using ANT+ or Bluetooth Smart technology, you can get all of your workout data in real time, on your favourite Apps, for less than the cost of purchasing dedicated sensor systems. ◆ Eliminates the need for separate display devices for each sensor. ◆ Open platform, meaning your hardware is available to any fitness App that you choose to incorporate your real-time fitness data for a high degree of accuracy and functionality. ◆ Simplifies your workout: One device becomes your bike computer, mp3 player, GPS and data logger. 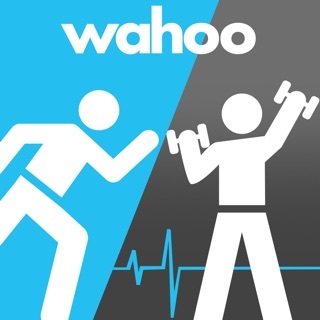 Visit www.wahoofitness.com for more information on iPhone powered fitness. What happened to the spin down? This App, when used with the fisica sensor Key, or fisica sensor Case allows you to test whether your sensor is working properly. It is not meant to replace true fitness Apps designed to track all the data collected. It will allow you to verify your Heart Rate Monitor, Stride Sensor, Speed Cadence sensor, Power meter, Blood pressure monitor or Weigh scale is working properly. Looking forward to the real Apps that will take advantage of all the new capabilities this makes possible, stay tuned! Seems fine for what it is. Just lets me view speed and power. Has a rocker for some value (indicates speed?) but makes no sense that you can increment speed in that way, so I didnt touch that. My guess is that's power, to change resistance? Otherwise, app is a good rudimentary way to test kickr. I'm not yet on ios 9. By the way, you have to select the kickr to see the stats, touch where it lists the serial number and you will be taken to the details screen. 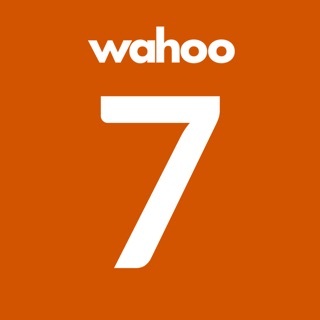 © 2011 Wahoo Fitness L.L.C.